So instead of doing my politics feature, I am drinking strawberry Ribena and watching Batman cartoons again – I couldn’t be in a better mood. 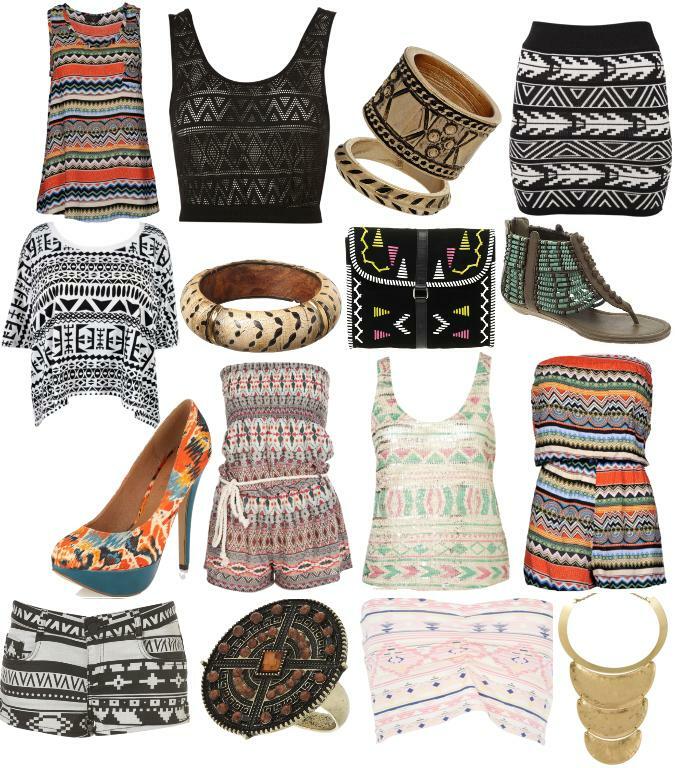 The nice weather has got me thinking about the trends for this spring and tribal and Aztec print definitely come to mind. For me, this trend definitely shows that we are entering warmer weather – playsuits are a must have for my wardrobe. I love that you can dress them up or just wear them casually. Personally, I would only wear one tribal print item and then keep the rest of my outfit plain. Mixing different types of print together is a no in my books, but I’m always eager for someone to change my mind. I think I’m pretty simple with wearing these types of prints, whether its leopard or stripes – I prefer keeping the attention to just one bit of clothing. How pretty ... :) I love this pattern. i loooove tribal prints! it's really fun to dress staple pieces that have tribal prints. the rompers are my favorite. they're so cute!!! and with a little lace vest and gladiator sandals, you've got yourself a spring appropriate outfit. Love this post! Great prints! Das sind echt tolle Teile! You have an amazing blog, love these items! I am now following you, hope you will visit my blog and return the favor =) Thanks so much! so many lovely items. i love the tribal trend. i should have a look at those! have a look on my blog as well, dear! would you mind checking out mine sometime? i recently changed the name so its still building up those views :) would be an honour! thanks!